This entry was posted in iPhoneography, Nature, Photo Challenge, Photography, Wordless Wednesday and tagged iPhone 8 Plus, iPhoneography, Meeks Park, Nature, North Georgia, Photography, Wordless Wednesday. 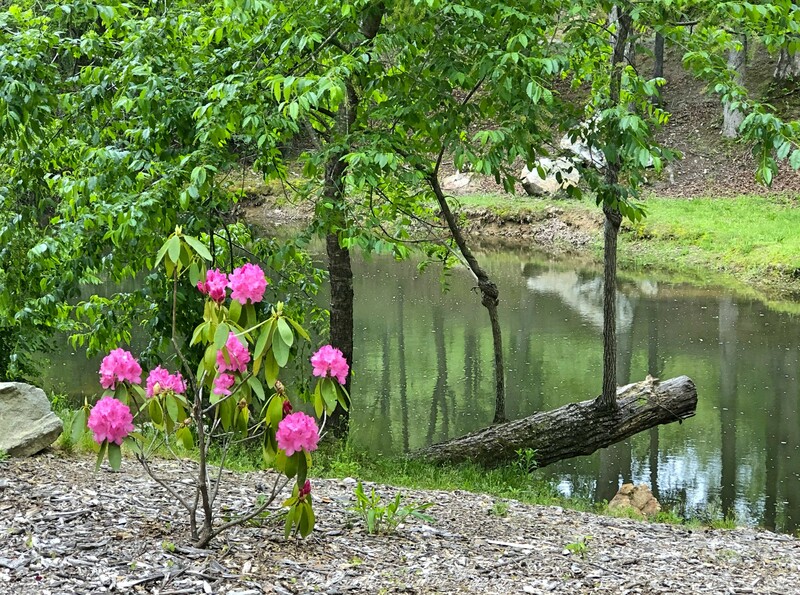 So beautiful with that bright spot of rhododendrons blooming. It’s a really pretty park not far from where we live. Quite a few amenities there, too! Thank you, Amy! I am humbled by your wonderful words and especially after looking at your amazing photos! Hugs! Beautiful. May I come with you? A lovely place to sit and ponder. Pretty pink flowers standing out among the backdrop is perfect. That’s a beauty to walk into, Linda. Nicely captured tones! Wonderful composition of green with little pink dots. Such a pretty scene Linda. Love that pop of pink in the foreground. A lovely composition. So gorgeous! 😍 so peaceful looking too!